Will Elworthy is a furniture maker and wood turner from London. Peppered with playful details, his work is tactile and highlights the inherent beauty of the timber he works with. His furniture explores textures and forms that are pleasing to the touch and reveal the unique character of the wood in each piece. 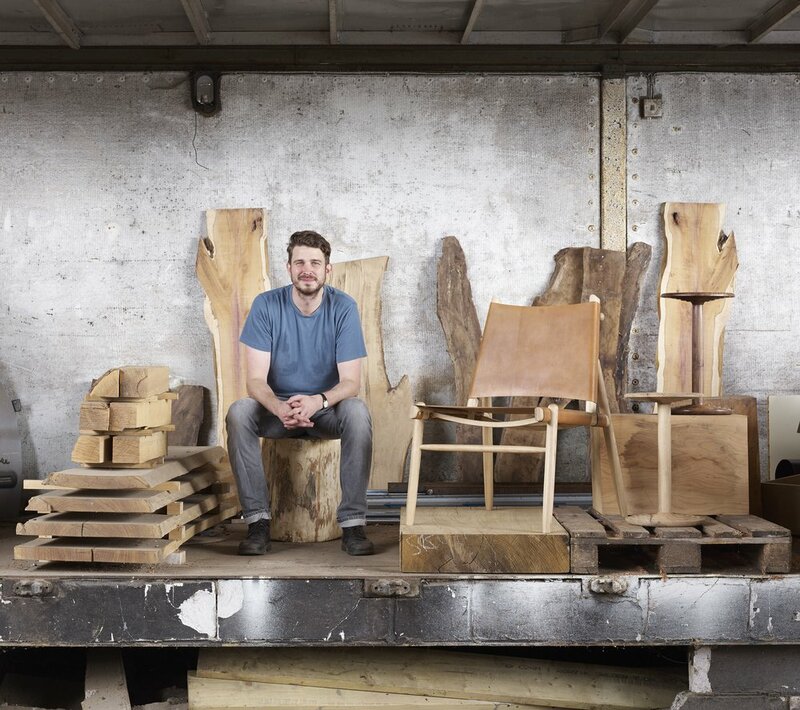 A passion for working with natural materials led him from his career in television production to study fine furniture making and started his own furniture studio in 2013. Will creates unique furniture, turned items and commissioned pieces in both small and large scale. He works with clients to produce bespoke items as well as working alongside designers and architects. Wills' care, skill and creativity shows in each piece he creates. All his work is made to last and to be enjoyed by generations to come. For enquires regarding current stock or commissions please get in touch. New Designers - Business Design Centre, London - 2015.